Many students find it difficult to identify what it is that makes a good piece of academic writing. At the core of such writing is the nature and structure of the intellectual argument. Here is some information that we share with our Physiotherapy students at the University of Nottingham to help with their understanding of arguments. I hope you find it useful. Do you see that if P1 and P2 are true, then the conclusion HAS to be true? So, if it REALLY IS true that all men are mortal, and it REALLY IS true that Socrates is indeed a man, then it HAS TO BE THE CASE that Socrates is mortal. Yes? Do you get that? Make sure you fully understand this basic principle before reading any further! Get it? Of course you do. So the two examples above are cases of a good, robust deductive argument – the conclusion is deduced from the premises. We’ll come onto how this looks in an essay in a moment. This is a simple mistake. Consider the above ‘physio’ example. You would have most likely noticed that the two premises are full of assumptions: 1) that Lucy is in fact a Physio, and 2) that all physios do in fact wear white tunics. The actual truth of the conclusion not only relies on the logical flow, but the accuracy of the detail within that flow. So, an argument can be logically correct – i.e. its logical form is robust, but the factual accuracy of the premises may render it poor. This is very important in essay writing, and will be address again below. P3: I have seen 3 white swans, and so on…. i) Although the premises might be true, their relationship with each other, and the conclusion, is tenuous. Compare the robustness of the relationship between components in the first Socrates example, with those here. See how the concepts of ‘mortality’ and ‘Socrates’ are distributed between the premises, linked by the idea of ‘man’. Notice that ‘man’ does not appear in the conclusion – that idea has already done its job. 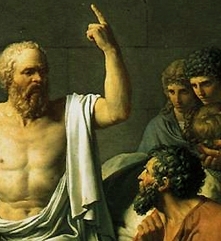 ‘Socrates’ and ‘mortality’ are the only ideas that re-appear in the conclusion. In the music example, there is no such pattern. Both ideas of ‘music’ and ‘Nottingham’ appear in both P1 and P2. They are not linked by a central, meaningful idea. P1 and P2 are simply independent commentaries on a similar theme. Also note that in the Socrates example, both P1 and P2 are necessary conditions for the conclusions, as well as being independently insufficient for it, i.e. they are needed by each other, and by the conclusion. These relationships do not exist in the music example, e.g. that a lot of people thinking that Nottingham is the music capital of Europe is not a necessary condition for Nottingham being the music capital of Europe. ii) There is missing data! To claim that “Nottingham is the music capital of Europe” relies on something other than what has happened in Nottingham and what people think. It relies on the music rate in other European cities. Premise 1: Contraceptive pills prevent unwanted pregnancy. Premise 2: John takes the contraceptive pill and he isn’t pregnant. Conclusion: The contraceptive pill prevented John’s unwanted pregnancy. Here, again, both P1 and P2 may well be true, but the conclusion isn’t true because there is an obvious alternative explanation for why John does not get pregnant – he is a man. Now, how does all this relate to your academic writing? Simple. This basic line of reasoning is what we look for in your overall writing piece. C: Manual therapy is effective for neck pain. The conclusion is wholly reliant on the truthfulness of the premises. In other words if P1 or P2 were false, so would be the conclusion. Further, P1 and P2 are both necessary yet individually insufficient conditions for C. Notice that the ideas of ‘manual therapy’ and ‘effectiveness’ are linked by the idea of ‘RCTs’ in the premises, and the ‘RCT’ does not appear again in the conclusion. This would have been a mistake, as per the music example. There is missing data, e.g. no consideration of tests of effectiveness. So we can see how easy it is to develop a valid and robust argument to build your essay around. If you have avoided the common errors in logical form, all you need to do now is to test the truthfulness of the individual premises. This means, in the case given here, you would be discussing the relative quality of different types of manual therapy studies, and trying to show that manual therapy has some RCT-level studies, before drawing your logical conclusion. Once you have those conclusions, you can then go on to discuss the consequences / implications / context etc of them. 2) When you have that, the aim of your essay is to DEMONSTRATE THE TRUTH OF THE PREMISES. If you show these two simple things, you are half-way there. The other half is how clearly and concisely you can write! And finally, I recommend to buy “Rulebook for Arguments” by Anthony Weston. You can get it for about £4 of Amazon.